Bright orange for safety and emergency signaling. 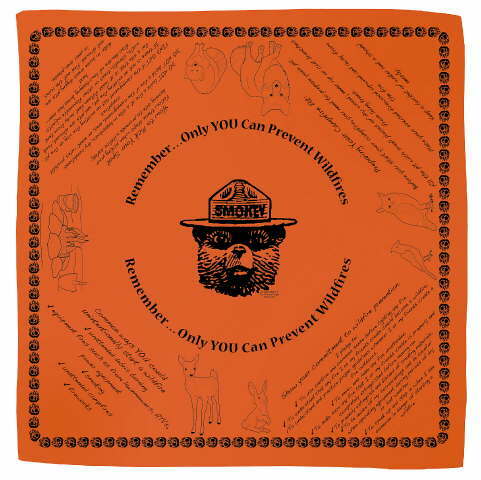 Messages suggest how to prevent wildfires and build a safe campfire. 21" x 21" QUANTITY DISCOUNT: 10 or more $5.95 each.